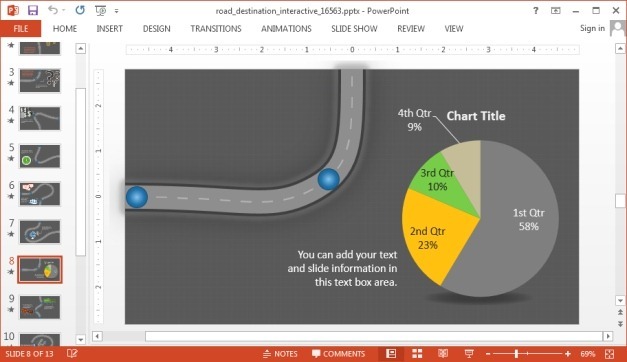 Making a project roadmap presentation can be cumbersome. 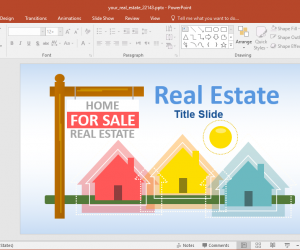 Not only is it hard to construct a roadmap presentation from scratch but you might also find it quite laborious to try to keep the presentation interesting enough to keep your audience awake. 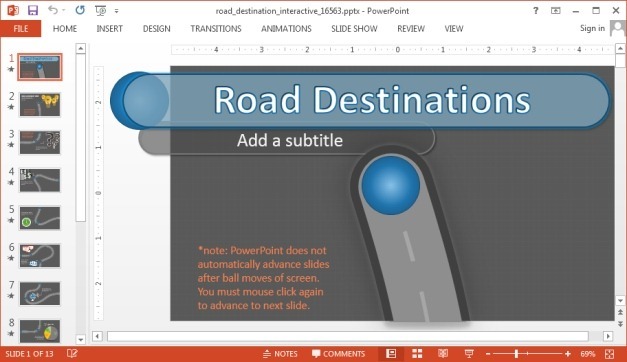 Animated Road Destination PowerPoint Template is an animated presentation template which enables making a comprehensive roadmap presentation using a sequential slide set. 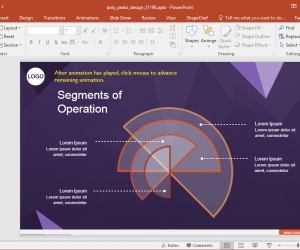 The presentation starts with an introductory slide with a ball, which rolls down the road as you proceed with your slides. 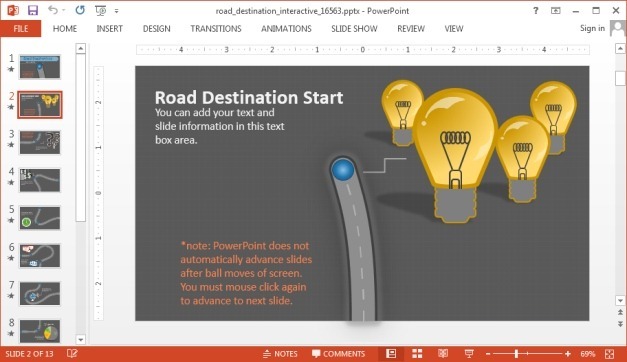 This animated roadmap PowerPoint template can be used to quickly create a visually appealing presentation by simply adding relevant text to sample slides. 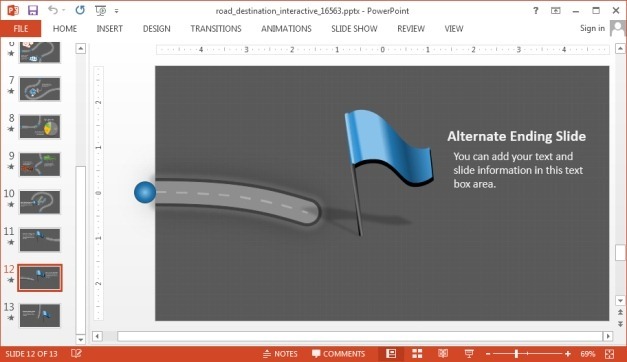 You can explain each part of the roadmap slide by slide, and enable your audience to better comprehend the presented subject matter using the rolling ball animation. This is because every time you switch to a slide, the ball depicted on the road will roll down, taking you to the next part of the project. 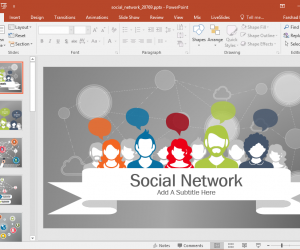 This can help you create and present focused slides, as well as keep your audience interested in your content with the visual aid of attractive animated slides. 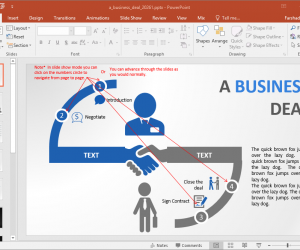 Furthermore, you can make good use of the various layouts along the way to present anything from charts, tables, lists to picture slides. The concluding slides provide scope for more than one conclusion, as there is also a section for an alternative ending. 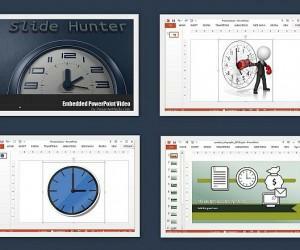 This can be used for presenting different possible timelines for the completion for a project, (e.g. when giving an ETA for project completion), or you can present two set of options before stakeholders to decide from. 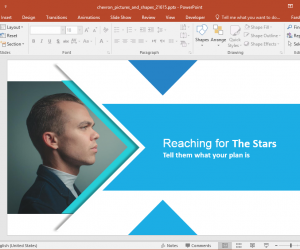 This roadmap template is available for Microsoft PowerPoint, including Mac and PC versions, as well as Apple’s Keynote for iPad and Mac.